Interesting article…and a bit of history! George Ewart Evans was born in South Wales in 1909 but moved to Suffolk and wrote several fascinating books about East Anglian folklore, including Ask the Fellows who Cut the Hay (1956) and The Horse in the Furrow (1960). In his books about the folklore of the horse and the horseman in Suffolk, he drew heavily on the local knowledge that he obtained by talking to the people of his village, Blaxhall, where folk culture appears to have remained alive right through the twentieth century and beyond. The local pub, the Ship, has long been a centre for traditonal folk song which deservedly received the attention of another scholar’s Ph.D. thesis (published as The Fellowship of Song : Popular Singing Traditions in East Suffolk by Ginette Dunn ca. 1980). Often we are asked to take pictures for an internet shopper of horses. Knowing how to take good and proper photos is important to your integrity as a breeder or seller. However, it is always nice to include a fanciful one if available…by that I mean…flowing mane, animated movement, etc. One day in March 2014, I was working with a 15 yr. old picking up poop. We raise horses, pick up our paddocks daily. So I was explaining why we do this to this young person and in a span of about forty minutes, was asked to explain the process three times. Training time is hard on me. The inexperienced do not understand why they do or are asked to do tasks. Poop for instance…..
Poop is not to be ignored! It just piles up and up! It tells the story of the horse’s health and so must be paid attention to. So, consider Lois Lerner. taking the 5th, her right and yet a perfect example of poor poop management. No matter what you call it…. it is a poop pile that is growing bigger and bigger and now contains an illness which we cannot remedy until we get a look at it. You never know;what you will find in the poop. Pieces of foreign matter, dead worms, live worms, bits of grain or other undigested bits. It may be firm of good poop color or loose and off color. It may have a healthy poop smell (in horses, this is typically earthy and pleasant to a knowledgeable horse person; however, it may be yellow greenish, have a strong acrid odor indicating some degree of intestinal upset. It may be hard little balls from too little water or mushy and green from moist spring grass. Since the horse cannot take the 5th we examine the poop closely and we pick up every bit of it. Otherwise we have no way of knowing how to fix what isn’t healthy. Plus….if we do ignore the poop, it keeps piling up and up, getting larger and larger until one day the entire world is one big mountain of POOP! No one can move, let alone drive to the corner, because they are all stuck in poop! A good barn manager keeps everything clean and picked up. every thing has a place and a reason for being there. The Manager is ethical and responsible, his helpers know it and know the same is expected of them and their work. The horses thrive in this clean healthy environment. Praise be to good poop management! ()Too bad those in Lois Lerner’s environment have followed her example of poor poop management. No Babies this year, 2016! This may come as a surprise to many who read this. Why would a breeder not use their mares as much as possible? There are many reasons but this one is the essence of serendipity. 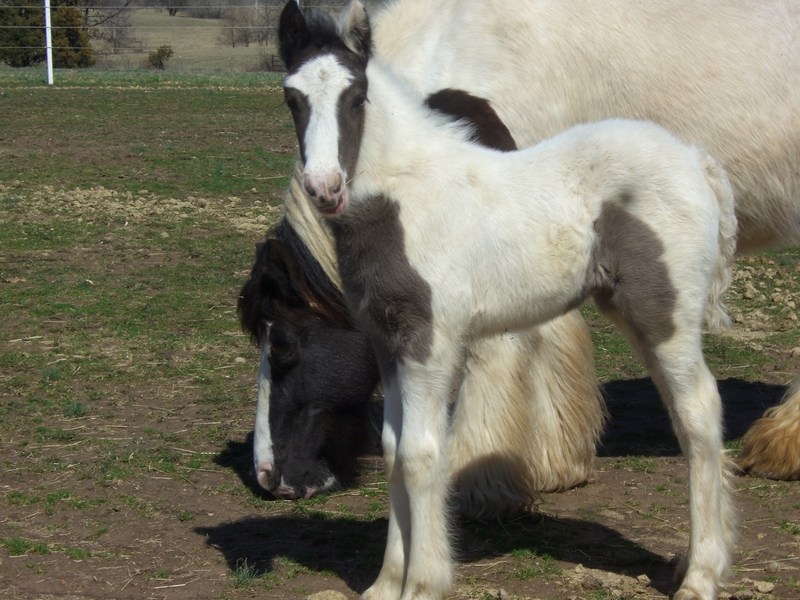 Two beautiful foals last year, five fillies the year before and we have only sold two of the fillies. One lovely to a fellow breeder and another to a family who fell in love. At the end of the season (2015) we thought we would take a break as we would be in training mode with all these youngsters and we are in our golden years….nuff said. As is turns out, the decision was perfect as we are now spending a great deal of time traveling back and forth to the cancer center at Mercy in Springfield. The out come is good but it is time consuming and emotionally training as it becomes our new job. As I write, there are two young ladies feeding the herd and tending to all that needs done in the evenings, in spite of a hellacious wind a blowing from the North! They are among my angel crew. The others are dear friends who provide some of the transport as well as spend time with us. In case you have never thought of it, visits are uplifting and therapeutic. All apart of good patient care. What the Docs cannot fix, friends make up for! So there you have it! Enjoy the photos and know that these will be three this year and will get to learn a lot of new things!!!! As you know, had I not been so fortunate to raise horses and love my days with them, my next passion is art. It has always been right up there at the top with equines….so thought it only apropriate to share other art. Imagine 125 mph winds and a storm surge 22 feet tall on an unprotected white sand beach. In Biloxi, Mississippi on August 29, 2005 this was the cataclysmic reality when Hurricane Katrina ripped through the city. The grass here in SW Missouri is green, the trees are just beginning to take on ever so faint hues of green, yellow, red (Red Bud trees are fully budded). It is such a relief after so very many grey days! 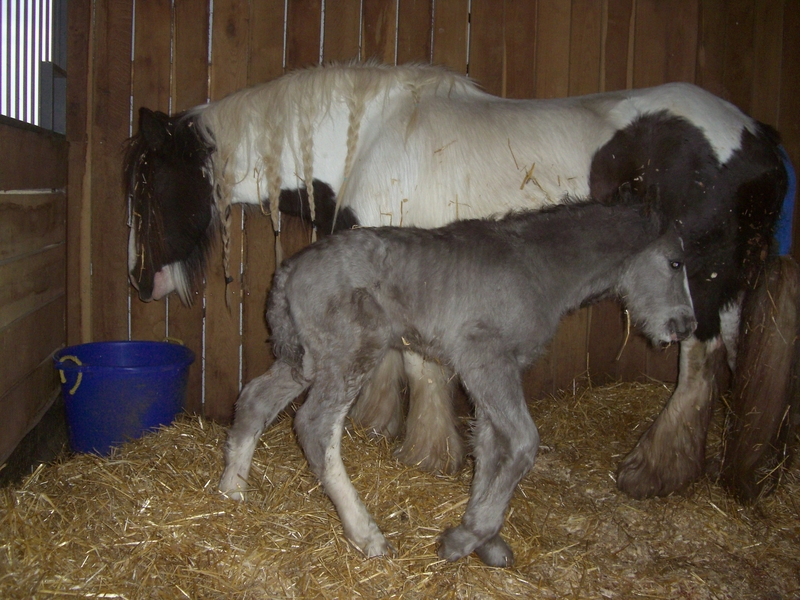 Foaling time brings another breath of new to the world. This year there are only two. 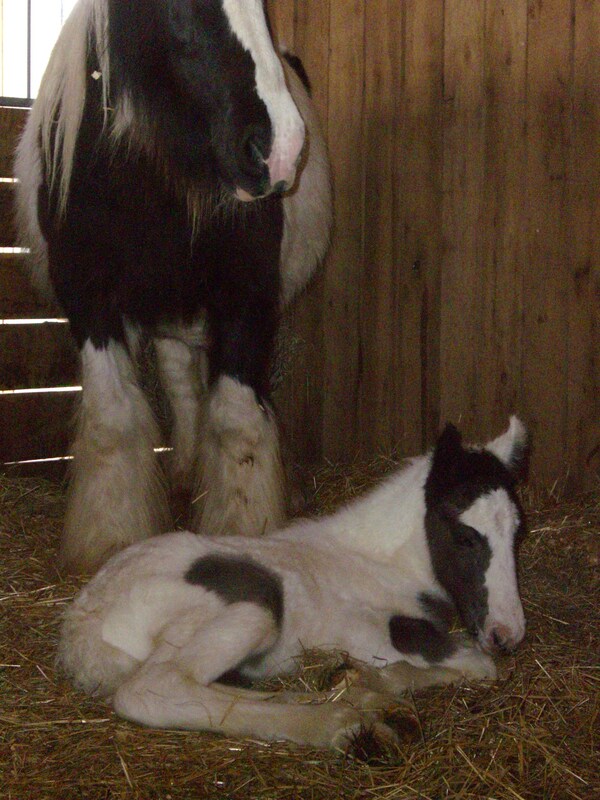 A filly and a colt ….hard to pick which I like best! An interesting tale of the Head.